I started on a Friday night @ 8pm, stayed up to 4am, then got up 8am to take the spare tire to have it mounted, and got back to work. I was wrapping everything up @ 6pm the next day. 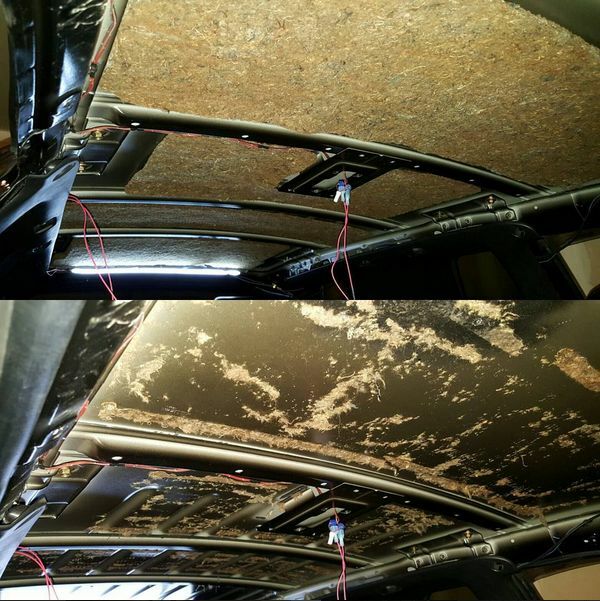 After pulling the headliner, I came across 17 year old insulation and adhesive. Utilizing a bunch of GooGone, elbow grease, and Simple Green, things were looking pretty good after about 4 hrs. The Raammatt BXT II was then applied. 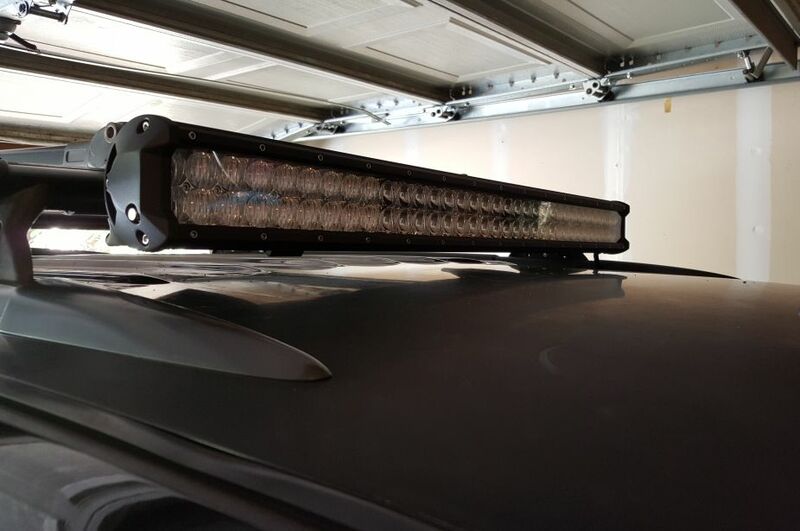 I had purchased a 31" LED light bar, and thought that it would be a good idea to knock that out while the headliner was out. I didn't want to mount it to the roof, as I was loathe to drill holes into it. Instead, I used my Yakima racks as mounting points, and it came out spectacular. Since I don't half do things, I used an OEM fog light switch from a Rodeo and figured out the wiring so that I can keep the interior looking clean. 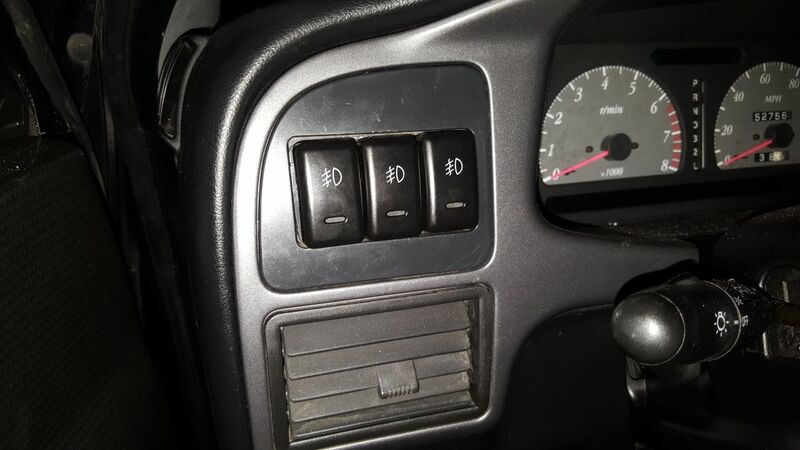 Currently there is one switch for the light bar, one switch for the fog/driving lights, and the last switch will be for the rear lights I'll be installing. Looks great. How did you route your wiring? 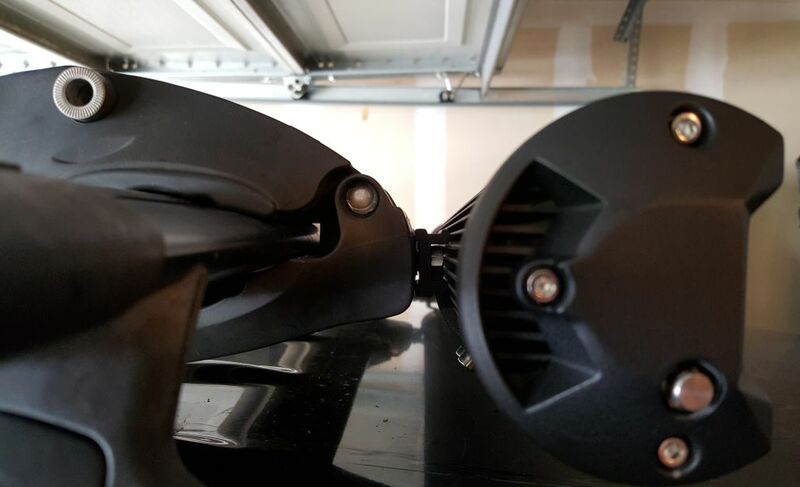 Did you notice a big difference between the OEM insulation and the Raammatt? I have my fogs wired the same way...just love that OEM clean look. I wanted to try and make the wiring as clean as possible. 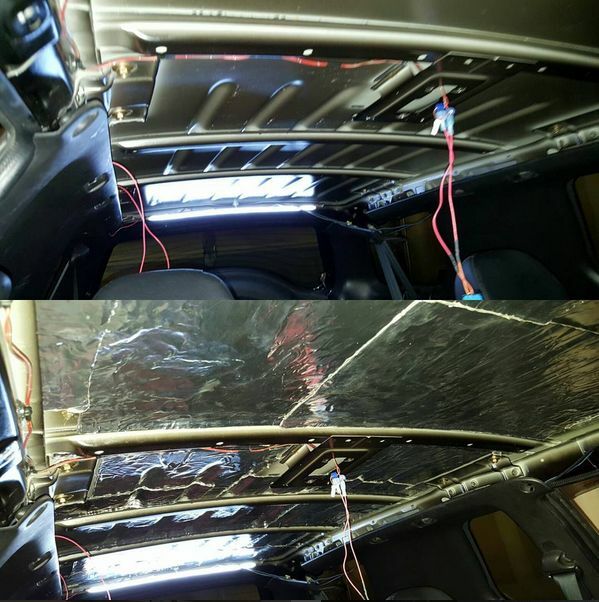 The light bar's wires are encased in some pretty thick, flexible plastic shielding. 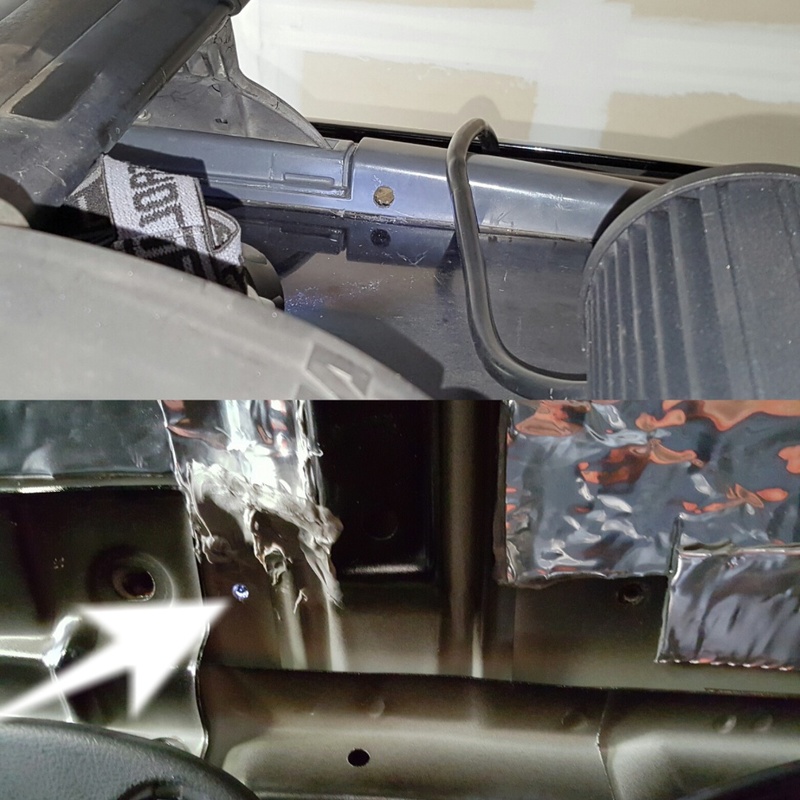 I drilled a hole in the plastic channel on the driver's side that hides the roof rack mounting points. I then did the best that I could to line that up inside the cab so that the vertical hole I had to drill would be hidden under that plastic cap on the roof. Worked out like a champ. I then ran the shielded cable through and poly'ed both holes, then ran it down the a-pillar and to the dash. I have a power distribution block in the cab, so I didn't have to route anything through the firewall. As for the BXT II, I'm very glad I did that. After I installed it, I re-positioned the OEM insulation and used spray adhesive to secure it to the BXT II. The end result is a much more crisp bass response, and a lot less of a "tinny" sound. It packs a lot more punch. That's a great idea and well done! It's been a long 6 weeks. My rig blew both head gaskets in Moab after the radiator fan went into the radiator, and since I couldn't remove the head studs w/an 1800lb/ft impact (turns out this is a common issue), I opted to drop in my spare engine. Did 90% of the work myself (a friend graciously came over after everything was disconnected and we maneuvered the old engine out and dropped the replacement in) in my garage. Started 2 weeks ago today, and she fired up last night. I'll update this thread with a recap in the next week or so.